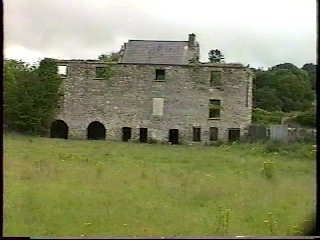 Drumboe Castle in Stranorlar was built by Sir Ralph Bingley after he bought his estate from Robert Redington in 1622. The large manor had four towers and protected a ford in the River Finn near the location shown in the cover photo of this website/blog. In the 1800s, Drumboe Castle was the residence of Sir Edmund Hayes, a strong anti-Catholic member of parliament from 1831 to 1860. During the Irish Civil War (1922-23), it was used as an army headquarters of the Irish Free State in its battle with IRA forces opposing the treaty that ended Ireland’s War of Independence with Great Britain. 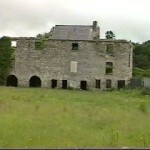 As headquarters for the Irish Free State in County Donegal, Drumboe also served as a prison for captured IRA soldiers. The Irish Civil War began almost as soon as the Anglo-Irish treaty was signed in January 1922. The treaty gave Ireland a degree of independence from Great Britain but required the partition of six counties in Northern Ireland because of the large population of British loyalists residing there. From 1922 to 1923, fighting took place throughout Ireland between the Nationalist Free State troops and those who wanted to continue war with Great Britain for the complete independence of Ireland (all of the counties of Ireland). 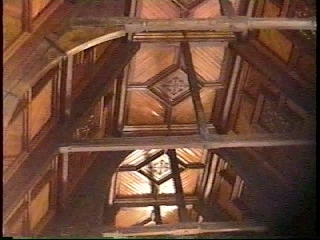 In County Donegal, the (anti-treaty) IRA established its headquarters in Glenveagh Castle. The Free-State troops maintained its headquarters in Drumboe Castle. Charlie Daly, originally from County Kerry, crossed into Donegal with his men to oppose the Free State troops. The war in Donegal was going poorly for the IRA in the fall of 1922, and Daly was told to pull out. He and seven of his men were captured with weapons and ammunition in a cottage near Errigal Mountain on November 2. The eight were imprisoned in Drumboe Castle where they were court-marshalled and sentenced to death on January 14, 1923. Over 1000 died during the Irish Civil War. 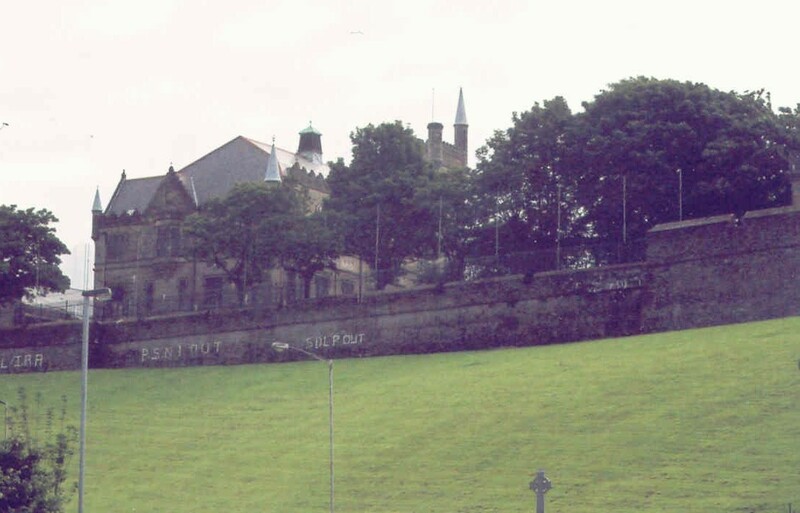 Walls were built around the city of Londonderry in the early 1600s to protect the English and Scottish settlers of Ulster from the “savage” native Irish. Londonderry somewhat reminds me of the US Cavalry post, Fort Apache in Arizona, which protected settlers of the American West. Londonderry’s walls certainly came in handy when the forces of King James II attempted to take over the city in 1689. 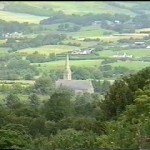 Circa 546 AD, St Columba of County Donegal founded his first monastery on the River Foyle in Ulster. 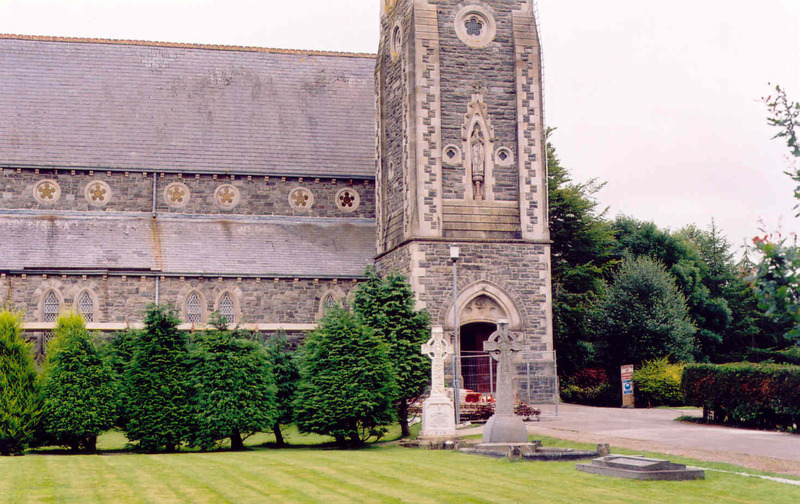 St. Columba, also known as Columcille (dove of the church), located his monastery in an oak grove (Daire in Irish), that gave the monastic settlement its name, Derry. Moving forward into the 16th century… Ireland had been colonized by the English who claimed dominion over their neighbor island. 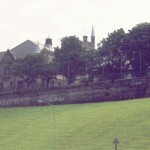 An English garrison was located in Derry in 1566. A year later they departed when their stores of ammunition kept in Teampall Mor Cathedral exploded destroying the cathedral. The English presence in Ireland was the cause of the Nine Years War between the Irish Earls and the forces of Queen Elizabeth. The defeat of the Earls led to their flight to the European continent in 1607. After that, King James I confiscated all of their land and began populating Ulster with supporters of the Crown. Large plots of land were granted to English and Scottish “adventurers” who were obliged to only have tenants of the Protestant faith. 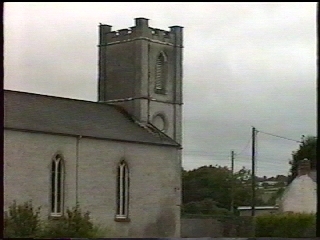 Other plots of land were granted to the Church of Ireland and servitors (soldiers and civil servants). 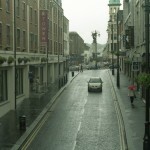 The City of Derry was granted to the London companies. 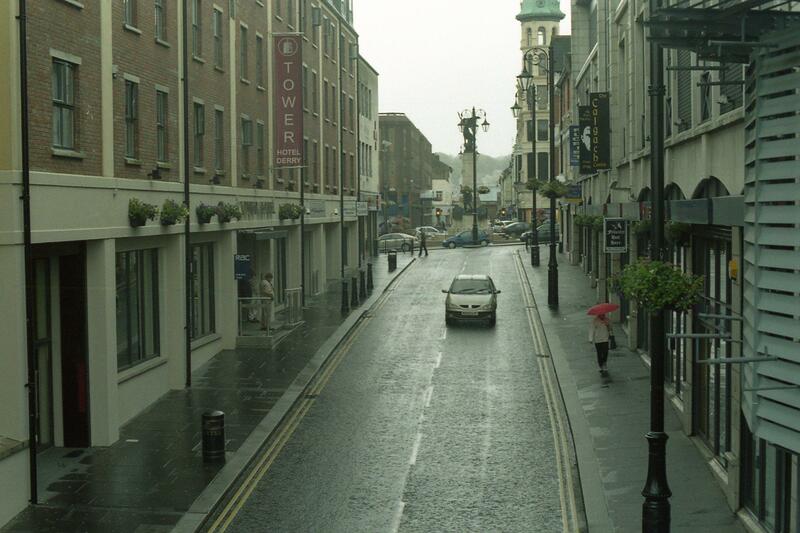 The name of the city was changed to Londonderry. In what was probably a bad idea for the new settlers from Britain, 20% of the total land confiscated from the earls was granted to “deserving natives” (compliant Irish). The arrival of foreign colonists on their native land created great unhappiness in the Irish community. In 1608, Cahir O’Doherty rebelled, attacked Coleraine, and destroyed Derry. 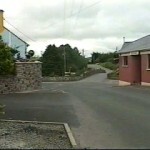 He was later shot dead in Kilmacrenan (County Donegal). There was another rising by Rory O’Cahan in 1615. His rebellion was a complete failure. He and his cohorts were hanged, drawn, and quartered in the City of Londonderry. Their heads were placed at the city gates. To protect its English and Scottish citizens from the savage Irish natives, a wall was built around Londonderry during the years 1613 through 1619. The wall was one mile in circumference with four gates to the outside world. Londonderry was now safe from the “bloody-minded villains” on the other side of the wall. Londonderry was successfully defended by Sir William and Sir Robert Stewart during Phelim O’Neill’s bloody uprising in 1641. Elsewhere in that uprising, many Protestant settlers, including women and children, were massacred. The fear of massacres and Irish reprisals remained in the minds of Ulster Protestants for decades. Then came Cromwell…His forces ended the uprising in 1652. Cromwell’s Act of Settlement that year almost obliterated the Irish freeholder. The native Irish then became the working underclass. Only laborers, ploughmen, and husbandmen were allowed to exist on the island. Rage was again building among Irishmen. After King Charles II died, his son, James II, was crowned in 1685. James II was a Catholic convert. He immediately set about to right the wrongs that were done to Catholics in his kingdom. In a form of reverse discrimination, he promoted Catholicism and demoted Protestantism. The Protestants were not happy. Soon they were plotting James’s removal from the throne and crowning his Protestant daughter’s husband from the Netherlands. Meanwhile, the armies of James II were becoming mostly Catholic. He even appointed a Catholic mayor of Londonderry. The garrison in Londonderry was Protestant in 1688 and commanded by Lord Mountjoy (Sir William Stewart). To replace the Protestant army with a Catholic one, Lord Tirconnell (Richard Talbot) ordered the garrison to leave Londonderry. In November 1688, the garrison left for Dublin. Tirconnell organized an army of Redshanks (6-foot tall Scottish-Catholics) who marched to Londonderry to replace Mountjoy’s troops. Meanwhile, a hoax letter was discovered by the citizens of Londonderry that indicated that the new garrison will massacre all Protestants in that city, recalling the 1641 uprising. In December, when the Catholic army was spotted crossing the Foyle, thirteen apprentice boys took matters into their own hands, seized the keys and locked the city gates. Seeing that he had no other reasonable choice, Tirconnell told his “Redshanks” to back-off. He ordered Mountjoy’s garrison back. By the end of December, the Protestant garrison was back in Londonderry under the command of Robert Lundy. That same December, James II was deposed and escaped London for France. He assembled an army there which he took to Ireland. After defeating English forces in Dublin, he marched north with an army of French and Irish Catholics and arrived at Londonderry in April 1689. James then began his siege of the city. Before his arrival, the city had already expelled its Catholics and invited Protestants into its walls from the countryside. The Catholics bombarded the city’s walls and gates while cannons on the city walls bombarded the Catholic army. During the siege, the governor of Londonderry and commander of the garrison, Robert Lundy, urged surrender. “No surrender” was the cry from its citizens. Lundy managed to escape the city; Reverend George Walker took over command. The long siege took its toll. Starvation and disease were prevalent. Finally, Royal Navy ships arrived in June. By that time, a wooden boom had been placed across the River Foyle to prevent ships from supplying the city. The navy ships couldn’t smash through the boom, and they moved away to Lough Swilly. In July, three merchant ships arrived. With the help of sailors in a small boat, one of the ships broke through the boom. Although they continued bombarding the city and firing on the supply ships, the Jacobite army realized that they were losing. They finally gave up and retreated to Lifford. The siege was over on August 1, 1689. It lasted 105 days. It is reported that 8000 of the 30,000 people in Londonderry died. James II was defeated by his son-in-law, William III, at the Battle of the Boyne in July 1690. He left for Dublin during the battle and eventually fled to France. 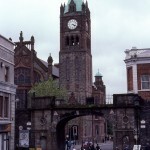 The name of the city favored by Catholics and Nationalists is Derry. For Protestants and Unionists, it’s Londonderry. In print, it is a good idea to write it Derry/Londonderry so as not to alienate anyone. 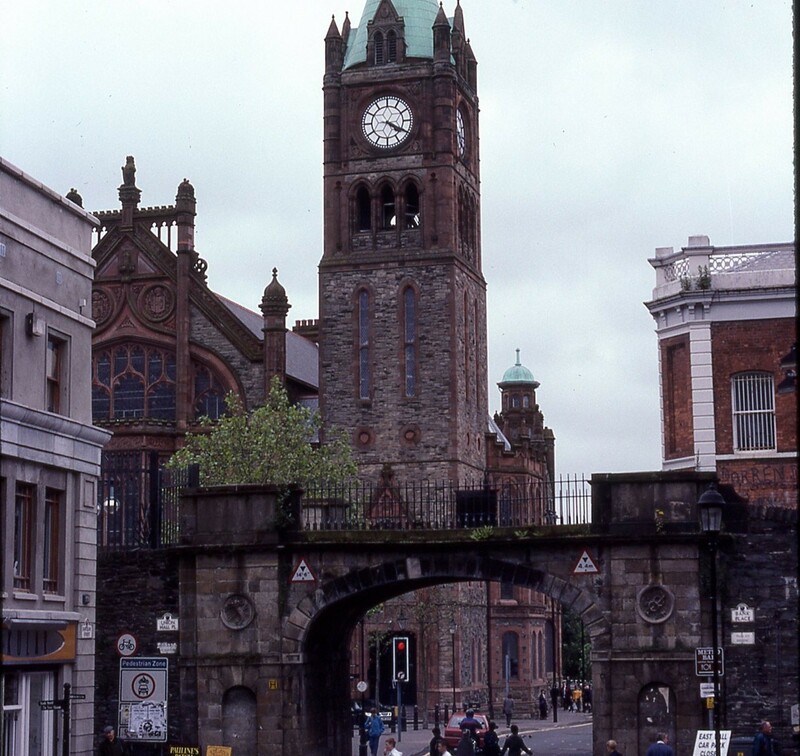 Although it is located in Northern Ireland, Derry/Londonderry is considered the de-facto “capital” of the Irish north-west, including some counties in the Irish Republic (e.g. 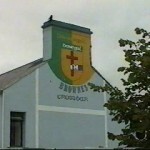 Donegal). It was the point of departure for many immigrants coming to America in the 18th and 19th century. 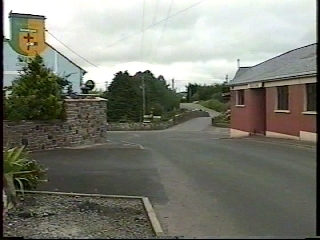 The Village of Crossroads in County Donegal is located on the road that parallels the south side of the River Finn near the bridge to Killygordon. Locally the village is known as The Cross. 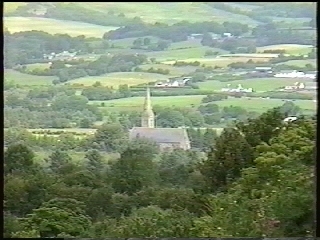 In his book, Rambles Around the Finn, David Kelly claims that the village was called The Cross because the cottages, shebeens, and church there formed the shape of a cross. This changed after Oliver Cromwell “visited” Ireland in the 17th century, and the cottages were destroyed to make dwellings for his loyal English and Scot soldiers. 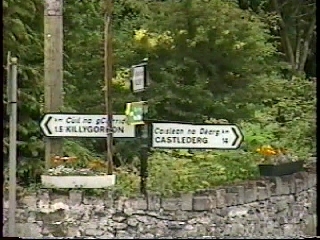 The name of the village then became Crossroads probably because of the intersection of the main road with the road over the Finn to Killygordon. The road from Killygordon continues past Crossroads and travels up to the border of County Tyrone at Carn Hill and down to the County Tyrone town of Killeter. The village is tiny. Besides a few dwellings, it has two churches, two pubs, and a store/post office. An international business (Donegal Creameries) started here and has its main office in Crossroads. It now has operations in Ireland, Britain, Netherlands, and Brazil. 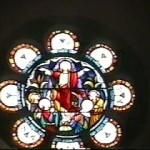 The churches: The first church here was built more than a millennium ago. 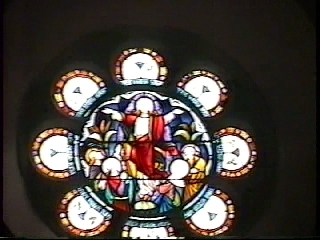 Other churches replaced it as the years went by until the Penal Laws limited the practice of Catholicism. Near the end of the Penal Laws, a new thatched-roof Catholic chapel was built in 1790. 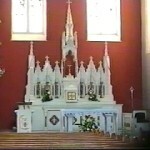 That humble chapel was replaced in 1875 by the magnificent St. Patrick’s Catholic Church. 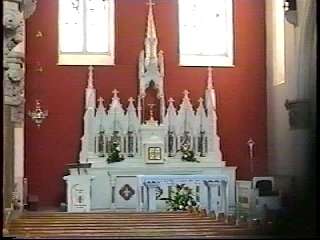 Much of the funding for the new church came from those who emigrated from the parish to America following the Great Famine. Father Edward Boyle was responsible for arranging the financing. 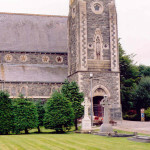 St. Anne’s Church of Ireland (Anglican) was founded in 1833 by Rev. Robert Delap. 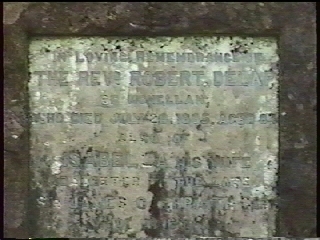 Reverend Delap was a wealthy landowner in the parish and a curate of the Donaghmore Church of Ireland. 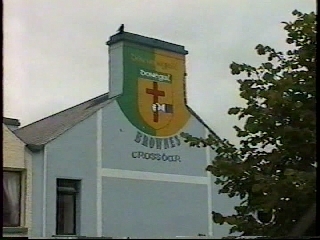 The Pubs: Browne’s Cross Bar is located on the north side of the main road at the intersection of the road to Killygordon Bridge. The Lantern Inn is located on the south side of the main road and across the street from Browne’s Cross Bar. 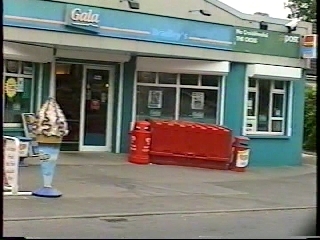 The Store: Bradley’s of the Cross is a Gala Store and post office. The last I heard, Barry Bradley was proprietor and postmaster. 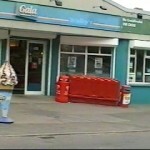 Donegal Creameries: The Finn Valley Co-op was founded in 1898 and a creamery was opened in Crossroads the following year. In 1970, Finn Valley and a number of other co-ops joined to form Donegal Creameries. Donegal Creameries grew and it is now a major supplier of dairy products (named Daisi) in north-west Ireland. It is one of Donegal’s biggest employers and it sponsors County Donegal’s premiere GAA football team. 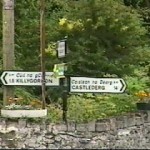 Much of my novel, DONEGAL GENERATIONS, takes place in Crossroads and in the hills to the south of the village. If you have the inclination, please check it out. 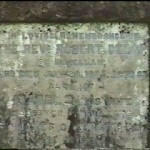 Memorial to Rev. Robert Delap at St. Anne’s. 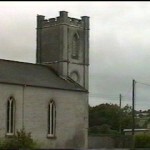 St. Patricks, Crossroads (from Gleneely). 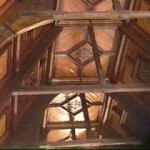 Interior of St. Patrick’s, Crossroads.